An actor wants to leave a role in a television show because they want to move on to film parts or are disillusioned with their character or are having an internal dispute with writers, showrunners, fellow cast members, etc. Sometimes these are valid reasons. But what about if your show is insanely popular and/or critically acclaimed? Adored by the masses? And most importantly, what if it disrupts the end game of the show’s narrative? As you can guess, these very questions crossed my mind (and not for the first time) with Will Gardner’s death on “The Good Wife” and Josh Charles’ exit from the show. It’s one thing when a death or exit serves the story being told. It is another thing when a significant character leaves, thus altering the creators’ final vision of the show. I doubt that I’m alone in this, but when deaths or character exits happen for this reason, I don’t get sad. I get ANGRY. After all, they literally brought it on themselves. You chose to leave; and if you fundamentally screwed up the culmination of different character arcs, why shouldn’t I be pissed? We can only hope that the creators and writers can use the exit to inject fresh life out of the unfortunate loss of their (potential) conclusion. What do I mean by ethics? Well, I mean an implied ethics. An ethics that says, hey I decided to play so-and-so because I wanted a job but more importantly because I believed in the character and hoped the show would be a hit. And sometimes it is. But what “moral” right do you have to say a few years later…I love this show. It’s the hit I wanted it to be. It’s Emmy nominated. I’ve been nominated for my work. But you know what? I’m bored. I want to concentrate on doing other things. No hard feelings guys! Feel free to call me for talk show appearances anytime. In case you missed the bitter undertones, Josh Charles’ exit from “The Good Wife” has left a particularly bad taste in my mouth. It’s not just that he wanted to leave. Or that for whatever reason the writers chose his exit to be the most schlocky ending they could go with. It’s how vocal and jovial Josh Charles has been about the matter. Reassuring fans on Twitter. Making the talk show rounds. In other words, relishing his moment that torpedoed what everyone expected about his hit show. Will “The Good Wife” still be excellent? Yes, I think so. But doesn’t the idea that whatever the writers planned for their characters was taken away because of someone that was over a job he signed on the dotted line to have? Look, I’m not even saying I expected the last scene to be Will and Alicia going off into the sunset together. I just imagine they had an idea of how Will fit into the idea of a series finale. And that’s gone forever. Hopefully the writers come up with something better and they can thank Josh Charles for abandoning ship early. This same scenario played out last season on “Downton Abbey.” After spending seasons dedicated to the love story of Mary and Matthew, they finally married. Then Dan Stevens (Matthew) looked around and thought, well that’s that then. I think I’m ready to move to New York, star on Broadway and hopefully transition to film full time. And thus the heart of the series, Mary and Matthew’s relationship, was blown to smithereens. In what seemed like a “screw you” at the time, Julian Fellowes, showrunner, decided to off Matthew in a random car accident and spent almost no time mourning him in the next season. And once again, why not? 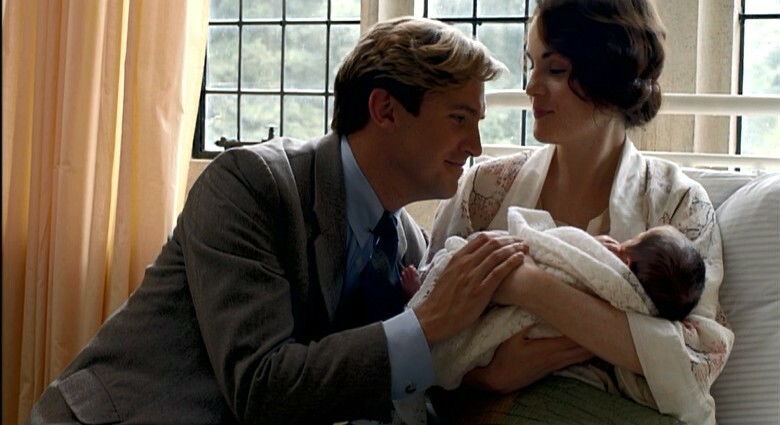 A primary component of the series known as “Downton Abbey” was now gone forever. Let’s move on with people that want to be here, on a hit show no less. Of course Fellowes said that Matthew had to die, that there was no feasible alternative to explain his absence from Mary and their newborn. Sound familiar, “The Good Wife” fans? The Kings wrote an open letter that explained the decision for Will’s death the same way. Except, at least in Matthew’s case, the reasoning is sound. I’d argue it makes total sense for Will to decide trying a new life at the proposed Lockhart/Gardner New York offices. But in reality, just as Fellowes chose such a cheap death for Matthew, the Kings chose a cheap death for Will. Get outta here if you want to go! See how expendable you were in the end? Actors leave long running series all the time. Sometimes their talents are being wasted. Some have no obvious bearing on the show’s trajectory. Some characters are written to be expendable. I’m not implying that actors do not have reasons for leaving or that some exits are necessary. I am implying that when your exit impacts a serial show where you figure into the narrative prominently, a certain ethics should be involved. And maybe these ethics normally work. Do the remaining original cast members of “Grey’s Anatomy” really want to be playing those roles still? Their ethics are likely motivated by paychecks. As was the cast of “Friends” (although “Friends” would have just ended a few seasons early as opposed to Matthew Perry leaving and Chandler leaving Monica a widow). I could talk in circles around this all day. Perhaps devotion to character and story keep many actors in jobs they’d rather leave. And the Josh Charles’ and Dan Stevens’ of the world are the outliers. Bottom line reiteration: if an actor chooses to leave a role you love on one of your favorite shows, don’t mourn. Get angry! And move on. If the writing is good enough, the show will turn their poor judgement into a creative windfall for your series.